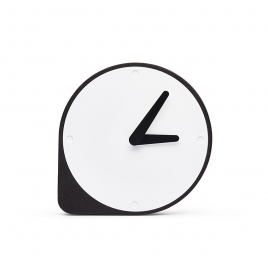 Quintessence of Dutch design, this clock is played out effects of matter and appearances, between brilliance and roughness; stability and movement. 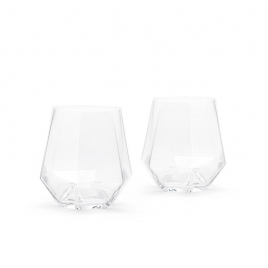 These mouth-blown crystal glasses will magnify all the fluids you will pour into it; with their diamond shape, infinite effects between light, glass and liquid will form. 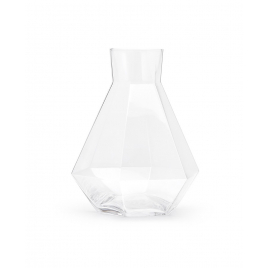 With this diamond shaped carafe, a clearance is created between the liquid, the glass and the liquid to create refined light and optical effects. 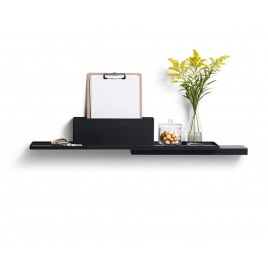 As amazing as they are functional, these duplex shelves will offer you many storage and graphic effects.